For the second year running, Avensys received recognition for their state-of-the-art Audio Visual and Home Appliance Superstore & Smart Home. Celebrating excellence in the electrical retail industry, Avensys received recognition for their state-of-the-art Audio Visual and Home Appliance Superstore on Fleming Way, Crawley. The newest addition to the store saw the Avensys Smart Home officially opened in September 2016, giving customers a chance to visualise the very latest home technology in a real life home setting. The IER Awards are designed to recognise innovation in the industry and reward the companies and individuals that demonstrate excellence in the way they operate or in what they produce. The awards are a prestigious stamp of endorsement acknowledging outstanding service and dedication to the electrical retailing sector. Avensys again received recognition for their state-of-the-art Audio Visual and Home Appliance Superstore & Smart Home, winning best Young Gun for the thrid year running. 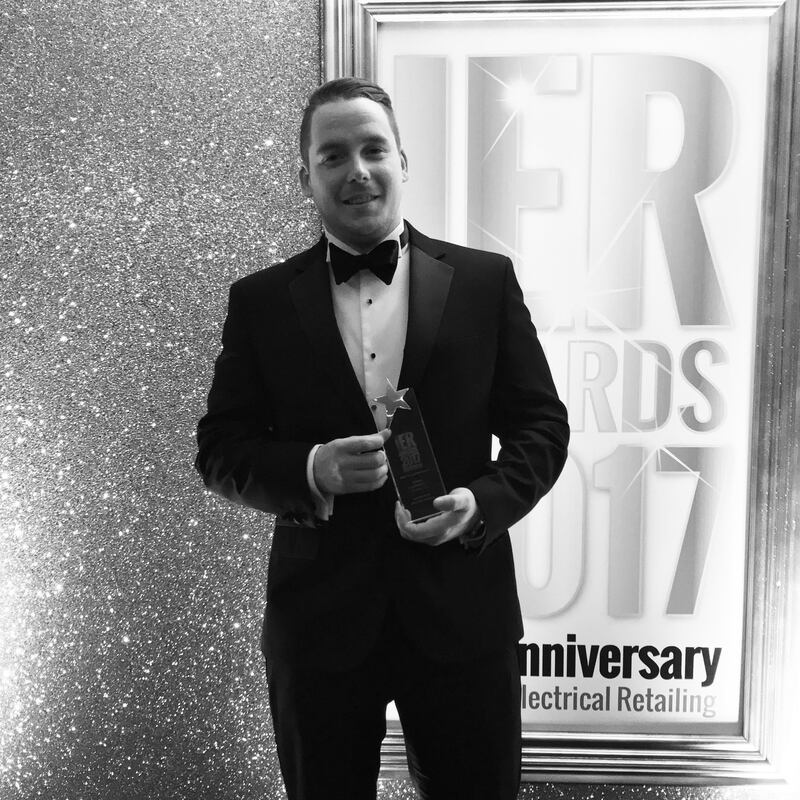 Website efforts were recognised with the 'Best Independent Retailer Website Award', while omnichannel efforts turned the highly commended honour the previous year into an award this year. For the third year running, Avensys again received recognition for their state-of-the-art Audio Visual and Home Appliance Superstore & Smart Home. while also winning Best Young Gun for the second year in a row. The teams omnichannel efforts were recognised with a highly commended achievement for 'Best Omnichannel Retailer of the Year'. For the second year running, Avensys received recognition for their state-of-the-art Audio Visual and Home Appliance Superstore & Smart Home as well as the inaugural IER Best Young Gun Award. Celebrating excellence in the independent retailing sector, Avensys received recognition for their state-of-the-art Audio Visual and Home Appliance Superstore on Fleming Way, Crawley. The new store opened in September 2014, consolidating Avensys (formerly in Copthorne) and Panasonic Store Crawley into one superstore, along with Commercial, Live Events and Head Office functions at the Manor Royal site.